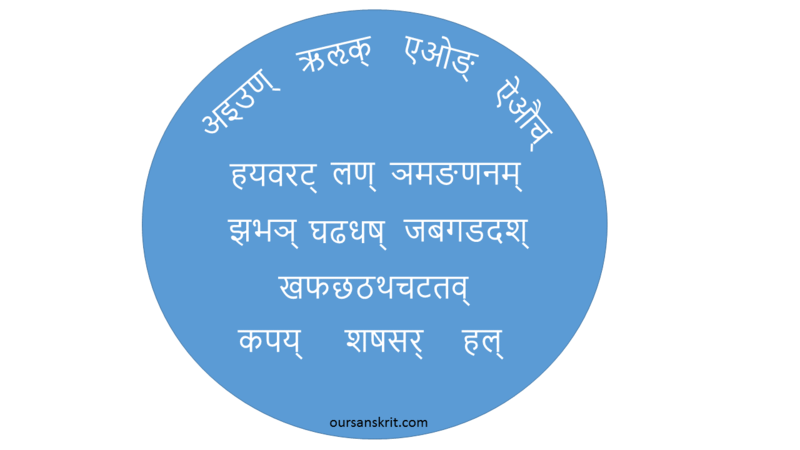 In Lesson 38, Lesson 39 and Lesson 40, we looked at some aspects of Sanskrit syntax. We said that syntax deals with the arrangement of words and phrases to create well-formed sentences in a language. In Lesson 38, we looked at Word Order, Number, Concord, Pronouns and the Nominative and Accusative cases and in Lesson 39 we looked at the Instrumental, Dative, Ablative and Genitive Cases. In Lesson 40 we looked at the Locative Case, Absolute construction, Participles and the Infinitive. In this lesson, Lesson 41, we will take another story from the Hitopadeśa and analyse it. This story, “The Blue Jackal”, is fable 7 of book 3 of the Hitopadeśa. This story corresponds to the Pañcatantra story fable 10 of book 1. Let us remove the Sandhis to look at the lines word by word. There was a jackal who while wandering at will around the neighborhood of a town, fell into an indigo vat. Thereupon, being unable to get out of the vat, in the morning, he feigned death and waited. Then the owner of the indigo-vat, lifted him out, and taking him faraway, threw him away. So, why can’t I attain greatness? Having thought thus, he called together all the jackals and said. I have been anointed, by being sprinkled with the sap of all herbs, as the king of the forest by the revered forest goddess by her own hand. From today, all the business of the forest will be conducted according to my wishes. The jackals seeing him in such distinguished colour, prostrated before him and said. Then, using the same technique, he established his lordship over all the forest animals. Then, looking at his exalted retinue of lions and tigers and other great beasts, he felt ashamed of his own kinsfolk, the jackals, and stayed away from them. Then, seeing the dejected jackals, a wise old jackal said. If we, who know (his) weak points, are thus treated with contempt by him who does not know the right conduct, then, let me tell you how to destroy him. Since, these tigers and other noble beasts, fooled by his colour alone and not knowing him to be a jackal, considers him the king, do therefore thus that he will be found out (for what he is). Do therefore as I say. When all the animals gather in his presence in the evening, you will all together start howling loudly. Then hearing this howl, he also, due to his nature (of being a jackal), will howl loudly. It is very difficult to overcome one’s own natural disposition. Even if a dog is well-fed, will he not gnaw at a shoe? Thus, recognizing him from his voice (for a jackal) some tiger will kill him. If there is an enemy in one’s own camp, who knows one’s secrets, strength and weak points, he (the enemy) burns (him), like a fire hidden inside a dry tree burns it. The fool who deserts his own people and joins up with the enemy, is killed by them, like the blue-coloured jackal. This is the end of Lesson 41.